Most BMW fans are waiting quite impatiently for the upcoming G30 BMW 5 Series, as it supposedly marks a return to the traditional driving dynamics the 5 Series has always been known for. The current model, the F10 5 Series, is a good car but takes a bit of flak for being big, heavy and soft. This new car is 220 lbs lighter, stiffer and supposedly packs the sort of driving dynamics the F10 was missing. 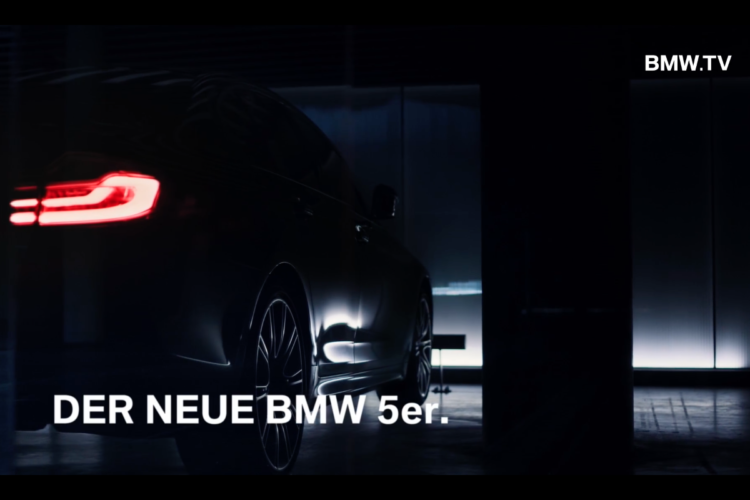 So you can imagine that when BMW teases said 5 Series in a new video, we get rather excited. To be honest, don’t get your hopes up too much for this video. It doesn’t actually reveal much at all. You do get some images of the taillights, which are wider and flatter than before and look quite good. There are some glimpses of its silhouette as well, but nothing to properly reveal anything. Instead, we do see how BMW is marketing the new 5er. Instead of trying to seem posh and luxurious, as it did with the previous 5 Series, the Bavarians are focusing on athletics and activity. There are several shots of rowers, swimmers and runners doing their thing. There are shots of athletes working out and much activity being done. It’s all about movement. This is refreshing, though, because it shows that BMW wants people to know that this car is about driving dynamics and athletics, rather than luxury or glitz and glam. This was a problem BMW has with the new 7 Series. Customers are under the assumption that the 7er is supposed to rival the Mercedes S Class, in terms of limo-like luxury. However, it’s actually meant to be the more athletic car, the one you’d rather drive than be driven in. And its advertising doesn’t reflect that well. So customers are mislead and disappointed. Of course, BMW is marketing the new 5 Series as an upscale car, as we see business doing business and luxurious places throughout the world. However, the main focus seems to be on athletics and movement, showing that the new 5 Series was designed to move.